Indian minister Vasudev Devnani has provoked the ire of the Twittersphere, after he claimed that cows are the only animal to both inhale and exhale oxygen. 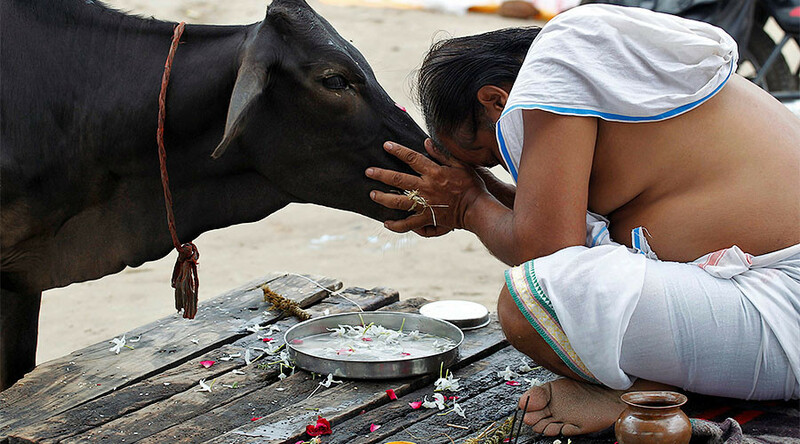 Cows are seen as a sacred animal in traditional Hindu culture and have historically been viewed as a taboo subject in India. Last year, vigilantes attacked and murdered people suspected of killing the animal or consuming its meat, leading to a wave of protests in which a police officer was killed and several others were injured. Devnani, Rajasthan’s education minister, said: “The cow is the only animal that takes in oxygen and also releases oxygen,” and that: “there is a need to understand the scientific significance of the cow and ensure that the message reaches all people,” according to the Indian Express. "Will use cow dung to counter atom bomb"
The minister further asserted that illnesses such as cold and coughs are healed if one goes near a cow and emphasized the role young people should play in promoting cow conservation. Social media users were understandably quick to criticize the minister. BJP's intellectual superiority to the fore once again. Rajasthan Edu Minister says that cows inhale and exhale oxygen!!! The question is what is HE inhaling. https://t.co/7YSLFspNue who made him education minister? The minister’s contentious claims run counter to a 2006 United Nations report which stated that livestock, including the cow, are responsible for 18 percent of the greenhouse gases, such as CO2 and methane – known to be a leading cause of global warming. To put that in context, it’s more than cars, planes and all forms of transport combined.